Will air Wednesday January 16 from 6-8pm. Click here. Duke Alum: Lori Leachman has an upcoming book event in Denver! Popular romance review site, All About Romance, mentioned The King of Halloween and Miss Firecracker Queen on its website this week. Thanks for the feature, here's where you can read more. 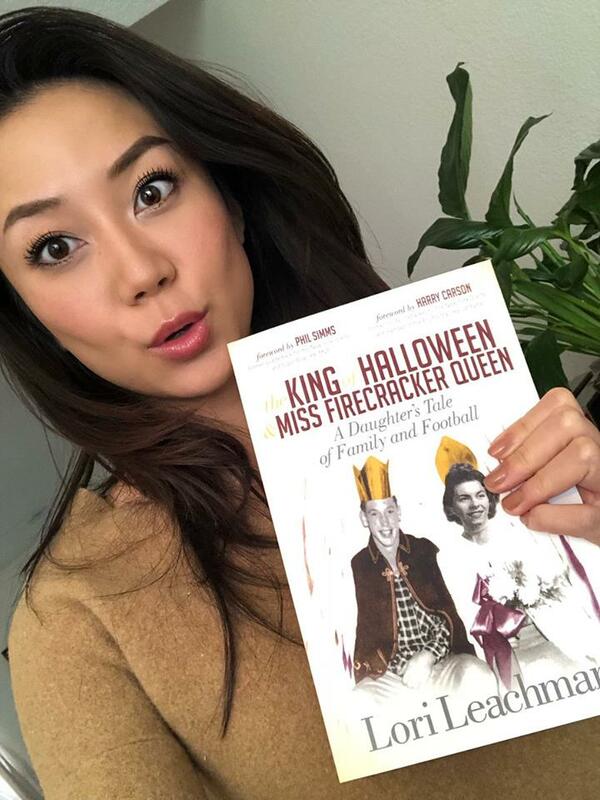 My former student and dear friend, Angela Zhou, has been reading The King of Halloween and Miss Firecracker Queen. Angela is now a talented actress most known for her role as Dr. Grace Parker on the TV series Supergirl. The award-winning bestselling author of "How to Be a Lady" mentioned on Facebook that The King of Halloween and Miss Firecracker Queen made her cry and laugh all in once. Check out what your fellow readers are saying on Goodreads. I love hearing reviews from fellow authors. Check out the discussion of the book on this ESPN radio talkshow. Honored to be featured in the May newsletter of BIANC. Read the feature here. The University of Tennessee, Knoxville's "Torchbearer" reviewed the book. Check us out at #7 on the list! Check out this episode I was interviewed called "Concussions Kill, CTE the new silent killer." Excited to be featured on another podcast done by Paul Guarino. Check out this awesome review by headbutler.com! Listen to my podcast conversation on “Just a Bit Outside” on 10/15/18! I discuss CTE and Football with Preston Phillips, Charles Richert and Parker O’Riley. Thanks to the GoodMenProject.com for sharing the article by HeadButler.com on their website! They call it “An All-American book you can’t put down!” Check it out.